Painting Romance part #1: In honor of Valentine’s Day, I plan to highlight a few romantic paintings this week and give you some juicy details. “Wearing extravagant, multicolored robes that seem to merge into each other, the lovers embrace on a small patch of grass, carpeted with an improbable profusion of flowers. 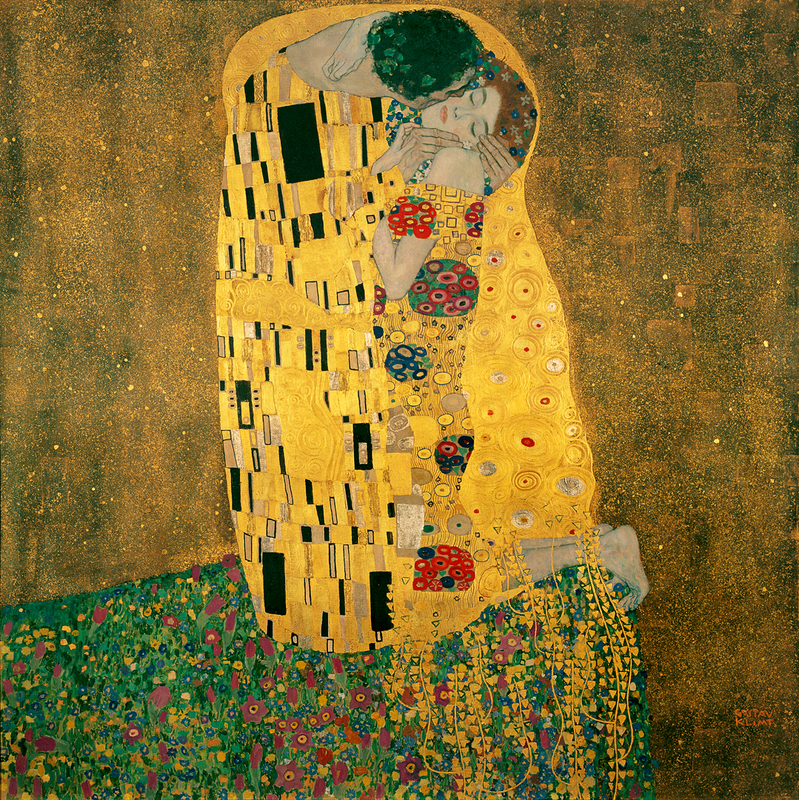 Created at the height of Klimt’s career and influenced by the then present Art Nouveau movement, The Kiss is an example of Klimt’s fascination with the human embrace. The embrace: The mysterious pose looks almost painful and unnatural, but may be influenced by Symbolist art which made the “severed head” fashionable. (I might have to look into this strange art movement next Halloween). The Setting: “The Kiss remains an ambivalent picture. The embrace appears to take place beside an abyss, with the woman’s feet dangling over the edge. Is Klimt hinting that both love and passion are precarious, and perhaps even dangerous?” It does appear that the woman’s (out of proportion) toes are clinging to the edge of the abyss. The more I look at this painting, the more I love it. It just feels nice, doesn’t it? More romantic art coming soon . . . 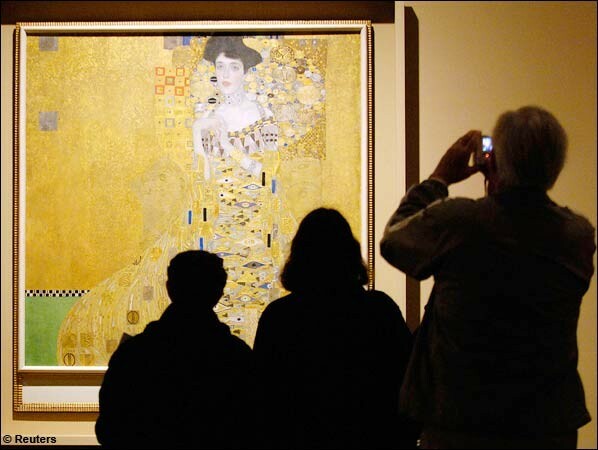 This entry was posted in Art History, Artists and tagged Art History, artist spotlight, Klimt. Bookmark the permalink.